And I just want to let you know that your youtube videos are the BEST! I've been watching your most recent ones. I used to watch them a few years ago when you started doing them. You're so funny! It's nice to see a different side of you on youtube. You and your hubby are so cute together, too. 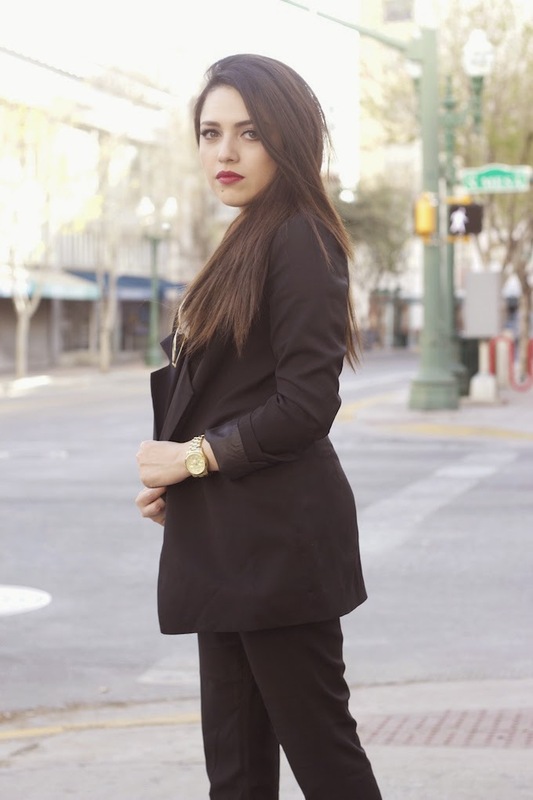 The black suit looks great on you, A timeless piece indeed.